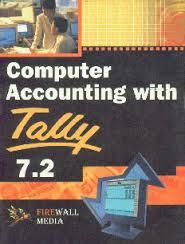 Key Difference: Tally 7.2 and Tally 9 are both software products from Tally Solutions Pvt Ltd. Tally 7.2 is an Integrated Enterprise Solution which provides capabilities related to accounting, inventory and reporting. Tally 9, being a later version of Tally 7.2, provides many features like Excise for Dealers, Payroll, TDS, etc. It contains extended functionalities than in comparison to Tally 7.2. Tally 9 can be referred to as a powerful concurrent multi-lingual integrated business accounting software. Tally 9 is the newer version of Tally in comparison to Tally 7.2. Tally 7.2 is an Integrated Enterprise Solution which provides capabilities related to accounting, inventory and reporting. It was the first from the lot of Tally software to introduce features like statutory compliant versions. The key features of this software included complete book keeping, General Ledger, Books, Registers and Statements of Accounts, Accounts Receivable and Payable, Drill down display and date, etc. It used to cater the demands of all types of businesses by providing a range of management reports. It was available in both single and multi-user editions. In nutshell, it was pretty good as simple accounting software. Tally 9, being a successor to Tally 7.2, provided many features like Excise for Dealers, Payroll, TDS, etc. It contained extended functionalities than in comparison to Tally 7.2. Tally 9 can be referred to as a powerful concurrent multi-lingual integrated business accounting software. The new features of Tally 9 than in comparison to its previous versions include – payroll, POS Invoicing, multilingual support and stator and taxation. Configuration and simplification of payroll processes are key features of Tally 9. The process of generating a pay slip is also quite simple in this version of Tally. Tally 7.2 can be seen as a simple accounting software, whereas Tally 9 is a better and powerful integrated business accounting software than in comparison to Tally 7.2. It is recommended by Tally for users of Tally 7.2 , 9 and other earlier versions to move to Tally. ERP 9, which is the latest product from Tally. Tally 9 is still being used by some users however, lesser customers are using Tally 7.2. Tally 7.2 is even not supported by any type of customer support system. Thus, Tally 7.2 can be seen as a product on the verge of its end. Sales and support for both Tally 7.2 and Tally 9 are discontinued. Tally 9, being a successor to Tally 7.2, provides many features like Excise for Dealers, Payroll, TDS, etc. It contains extended functionalities than in comparison to Tally 7.2. Tally 9 can be referred to as a powerful concurrent multi-lingual integrated business accounting software. Simplifying accounting and providing advanced inventory management.